"Before my son I stand, holding the knife used to kill my father"
Welcome to PURGATORY, an Immersive Operatic Experience. Read Straits Times' Review here! Composer Gordon Crosse’s setting of the text by literary giant W.B. Yeats will have you trembling in your seats. 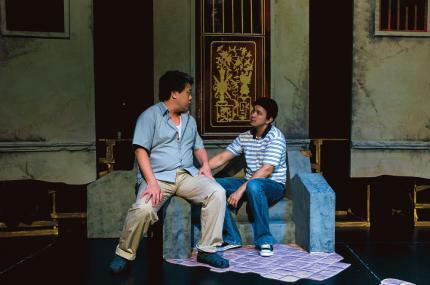 Walk into an old Peranakan house and witness one family's tragedy guided by the spirits trapped between worlds. Is the house haunted? Is the family cursed? 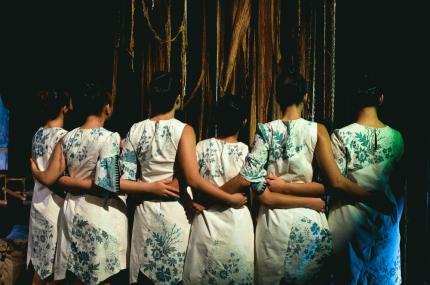 This Halloween, L'arietta Productions bring you a hair-raising unforgettable multidisciplinary experience. Written in 1966 by British composer Gordon Crosse, the opera utilizes Yeats' original text in its entirety. 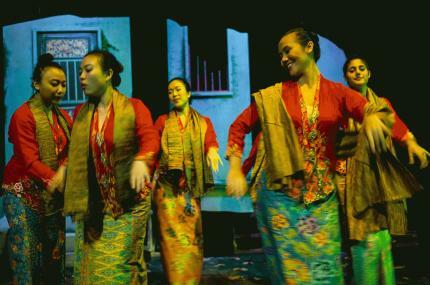 Directed by theatre veteran Eleanor Tan, this production will depart from its original Irish setting to an old Peranakan household filled with matriarchs of the past. On the anniversary of the mother's wedding night, remorseful spirits of the Old Man's parents appear in the house where unspeakable horror unfolded when he was 16 years old. He brings his son to the ruined house and reveals the darkness that haunts this family; the drunken father, the mother who died giving birth, and the Old Man who stabbed his own father... Now the Boy is the same age as he was when the curse was set. What grim choices face this family? Will there be redemption for the dead and the living?